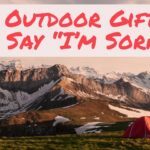 Do you schlep a bag of wine in your pack? How about a flask filled with your favorite spirit? Or perhaps you’re the type who goes big and carries the entire 24 pack of beer. 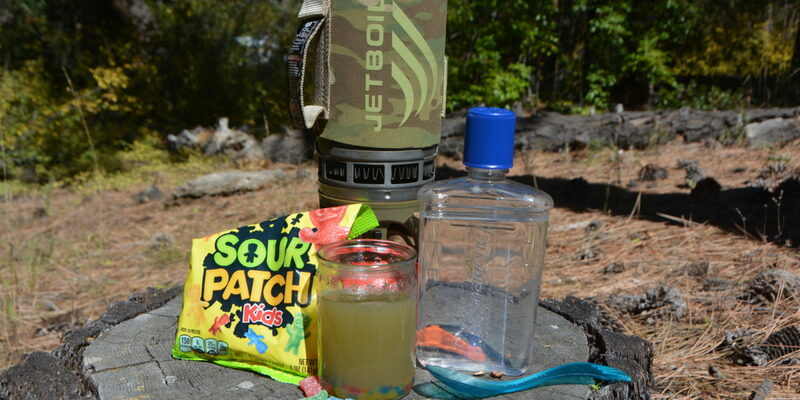 These are the best ways to consume adult beverages in the wilderness, along with our favorite backcountry bartending recipes. 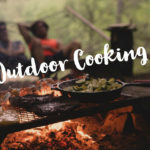 Mixing spirits in the outdoors is all about efficiency and using available flavors to make delightful beverages. 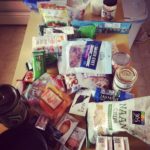 What’s the point of carrying in a bunch of extra weight if you’re not going to make it taste amazing? 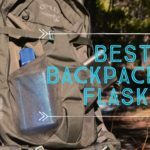 Sure many spirits and libations taste fine on their own, but what if you’re backpacking on a budget and you didn’t have an extra $20 to shell out for the good bottle of bourbon? Wilderness cocktails are the perfect way to turn a budget bottle into a speakeasy style beverage. When developing our drinks we worked with professional bartenders and outdoor experts to find the most efficient and delicious beverages. 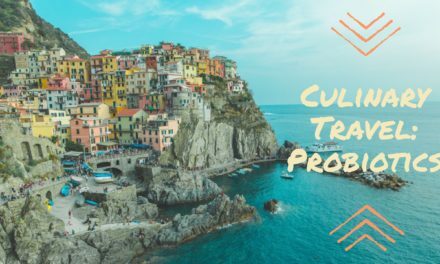 We know that you’re not going to pack in bar tools or fancy garnishes, so we invented recipes that compliment popular equipment that most backpackers tend to carry. If you feel confident in plant identification, we have a couple of cocktails that feature foraged ingredients. If you find yourself in the Lake Tahoe area check out a mobile mixology class with Garden to Glass Mixology where you can learn to plants into artesian cocktails. When it comes to trailside libations, our motto is: keep it simple. Don’t complicate your cocktail with excess ingredients and arduous, fuel wasting preparation. We appreciate everyone has their own style of enjoying drinks, so we invented these five recipes in hopes that there is a little something for everyone. 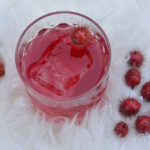 The toddy is a hot cocktail made with spirit, water, citrus, honey and spices. We invented a wilderness version featuring pine needles, which are an ancient remedy used to fight a common cold. Pine needles are a year round source of vitamins and antioxidants that become a healing elixir when made into a tea. Learn how to forage pine needles to make this delightful drink. Harvest safe needles by picking young bunches of pine needles. Remove brown ends or sheaths of the needles. Cut needles into 1/4 inch pieces. Bring water to a boil. When water bubbles, turn stove to low. Add bourbon and honey. Stir until honey dissolves. Turn off stove. Add pine needles. Place lid on pot and let needles seep for 10 minutes. Strain and serve in cups/mugs. Garnish with a lemon wedge or dehydrated lemon slice or pinch citric acid (depending on adventure limitations). 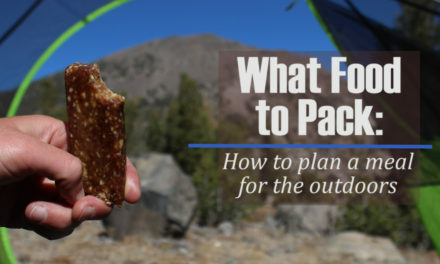 Fresh citrus can be difficult to pack into the backcountry. Fruit takes up space, can get smashed and damaged, and has a low caloric density. Usually you cannot make a sour cocktail without citrus…..fortunately we found an easy to substitute alternative: citric acid! 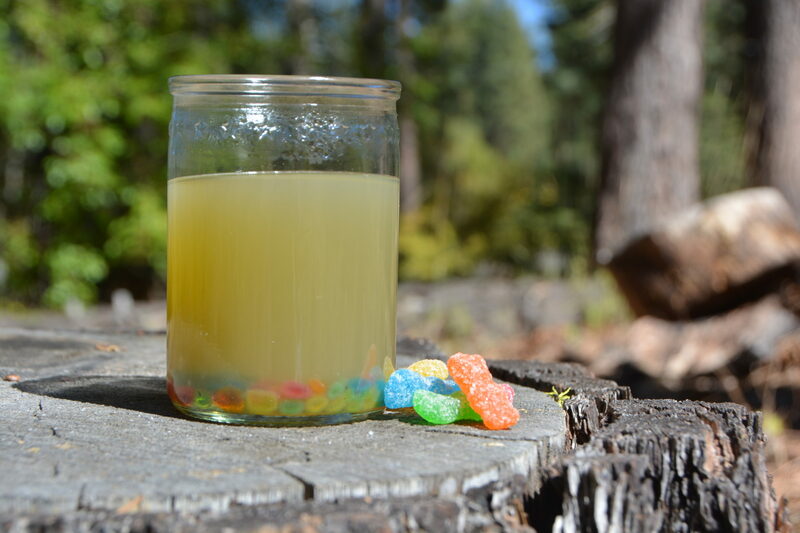 We took Sour Patch Kids, a candy that has both sugar and citric acid, and invented a simple sour cocktail. By melting Sour Patch Kids candy in water, you will create a syrup that is both sour from the candy’s citric acid, and sweet from the sugar. 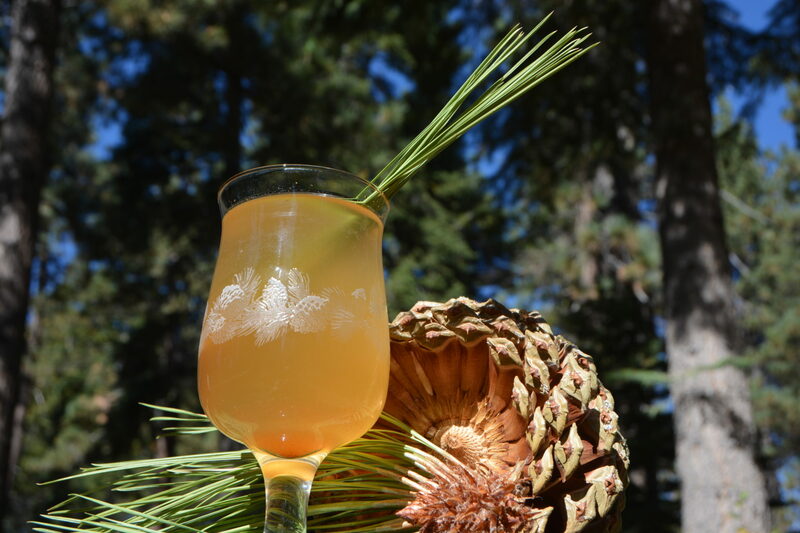 After the syrup has cooled, add your favorite spirit to enjoy a 3 ingredient sour cocktail in the wilderness. Add vodka for a lemon drop, rum for a daquiri or whiskey for a whiskey sour…its that simple! Chop 15 Sour Patch Kid’s candy into small pieces, add to pot with 2 cups of water. Turn burner to high, cover with lid and stir occasionally. Let cook on high heat for 10 minutes. Stir, and pour beverage into cups or drink straight from the pot when cool. This drink serves 2 people. If the sweet and sour flavors are too strong, add a little bit of water to dilute. 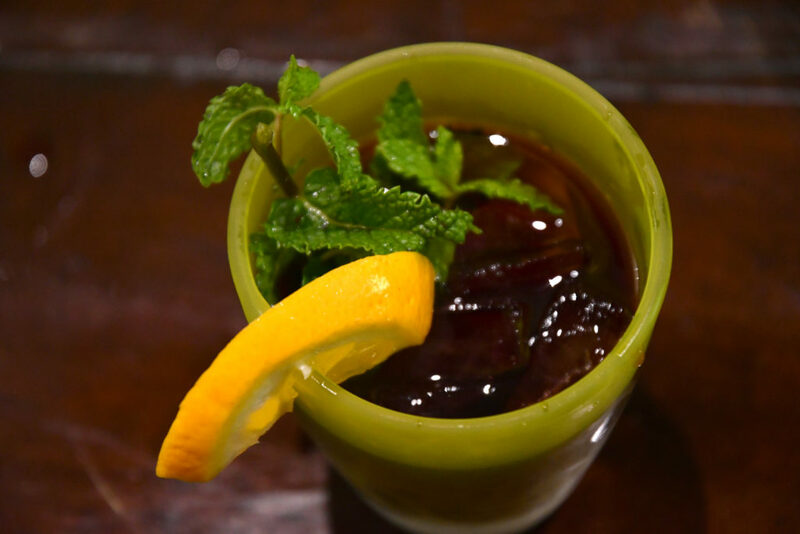 Use a bag of wine to concoct this fruity, punch style drink. A sangria is an alcoholic beverage with combinations of wine, fruit, citrus and spices. This mediterranean cocktail has bold flavors and is very easy to make. 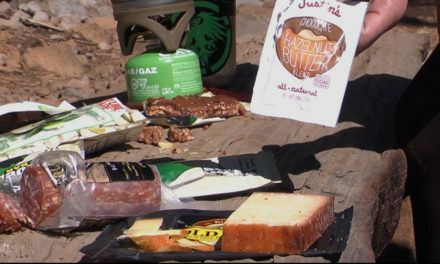 Since its not uncommon to find groups of backpackers carrying bags of wine (the bladder inside a box of wine), we invented a backcountry version of one of our favorite reasons to pack extra weight, Backpacking Sangria. Add all ingredients to a tight sealing bladder or Nalgene Cantene. 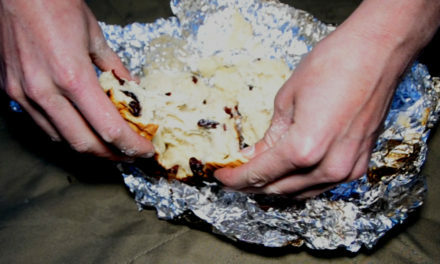 Squeeze out all the air and seal tightly. Check to ensure there is no leakage. Double bag for extra insurance. 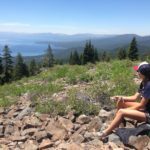 Trailside: drink straight from bladder or pour into cups. Add dried fruit, spices and spirit to a large pot. Pour in wine until pot is 2/3 full. Stir. Pour mix into cups or drink straight from the pot. Add extra wine to replenish when level in pot gets to half full. The Bloody Mary is a tomato based cocktail that is the perfect excuse for infusing nutrients with alcohol at any time of the day. 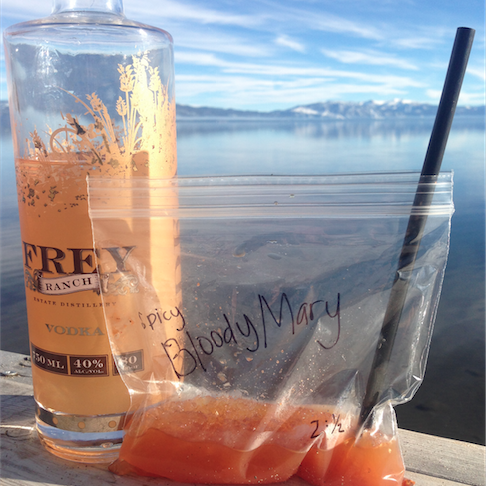 We invented a dehydrated Bloody Mary with a base that can also be used for sauces, soups and dips. 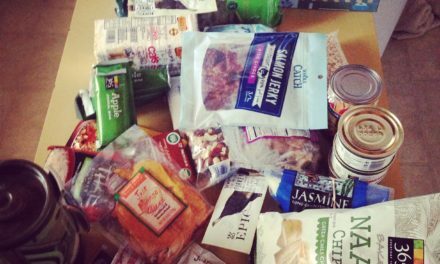 Store dry ingredients in a sealed container or vessel at home. When you’re ready to drink, add water and vodka, mix thoroughly. Top with snow or ice. 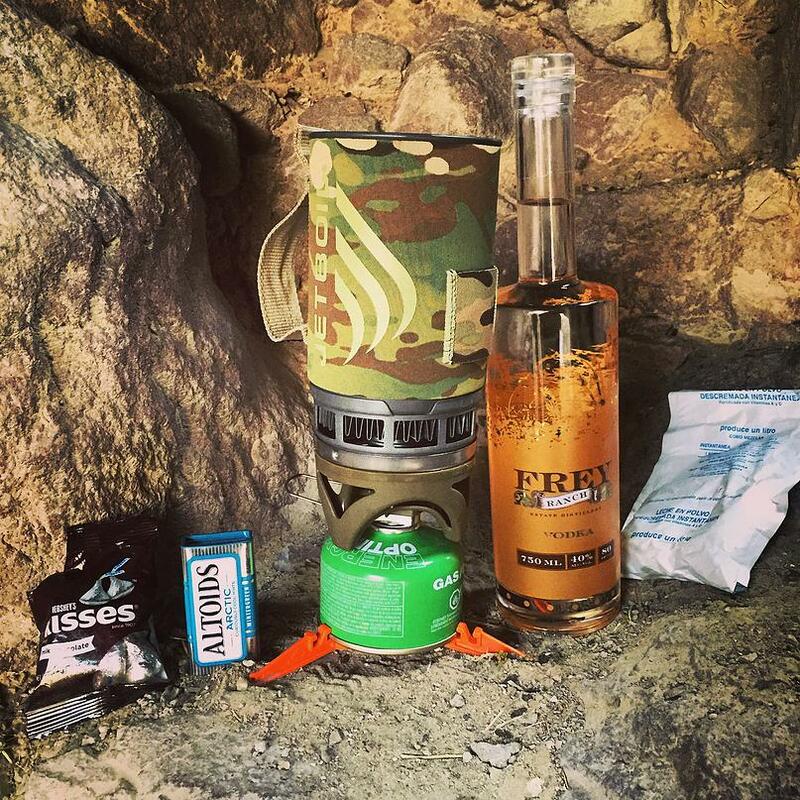 Did you know that vodka is a backcountry multi-tool?! 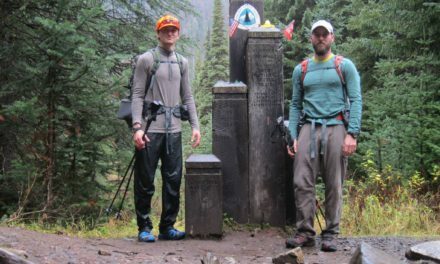 The best way to save pack weight in the outdoors is to bring supplies that serve multiple purposes. 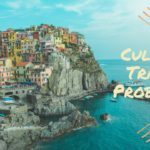 Believe it or not, but vodka has many uses that could make your next adventure surprisingly versatile. Our boozy hot chocolate recipe, invented by professional bartender Heather Stinson, features vodka paired with common backpacking ingredients to make Heather’s Summit Snugglers. Add 2 cup water to pot, turn on backcountry stove and bring water to a boil. When water begins to boil add Altoid and chocolate. Turn down stove to medium, and stir until chocolate and Altoid are completely melted. Turn the stove off, pour in 1/2 cup powdered milk, and 2 oz vodka. Stir for 20 seconds. Let Snuggles cool for at least 2 minutes. Pour Snugglers into mugs or drink right out of the pot….but be careful of the hot steam coming out of the pot!